Parrot, a company dedicated to the manufacture of drones , arrives at CES with intent to expand its market with a panel for cars that supports both Android Auto. Although Parrot is a company known primarily for its drones, is not the first Android device to launch to upgrade your car. 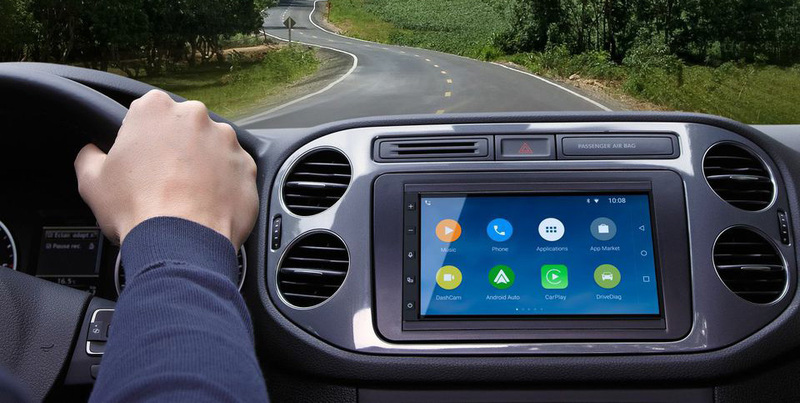 The RNB6 has two elements that work with Android, first the device itself running with Android Lollipop which includes features like voice control, navigation, streaming music or camera control that can have the car dashboard or on the back. It also includes the option of connecting your phone and enjoy all the features of Android Auto. It has a 7 inch screen and a resolution of 720p. The device has a number of connections as input ethernet to connect with your vehicle, because it can notify all kinds of mechanical incidents and diagnose your car. It also includes support for Apple CarPlay, if you have any friend who has an iPhone and want to connect to your vehicle. It also has two HDMI inputs for front and rear cameras. The Parrot RNB6 will be launched throughout 2015 but still no indication of its price, but certainly a very interesting for those who have a car that does not bring Android Auto serial device.